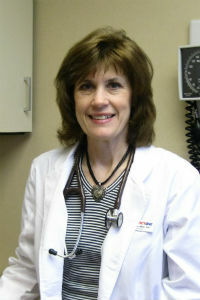 Jill Tschinkel is a Family Nurse Practitioner and is qualified in emergency medicine and urgent care. She originally graduated from Roanoke Memorial Hospital in Roanoke, Virginia and continued her education at Suny New Paltz where she earned a Masters degree in Family Nursing. Jill has been a registered nurse since 1984 and has experience in nursing, as well as nurse management and clinical instructing. She previously worked in the radiology department at Benedictine Hospital where she was a nurse manager. Jill also worked at the Hurley Avenue Surgical Center in the operating room and recovery room. She has worked and is still currently working as a clinical instructor for Suny Ulster’s Nursing Program where she teaches future registered nurse students. Jill has been employed with Emergency One since its opening and recently received her certificate as a Family Nurse Practitioner from Sage Graduate School. Jill is also certified in Advanced Cardiac Life Support.